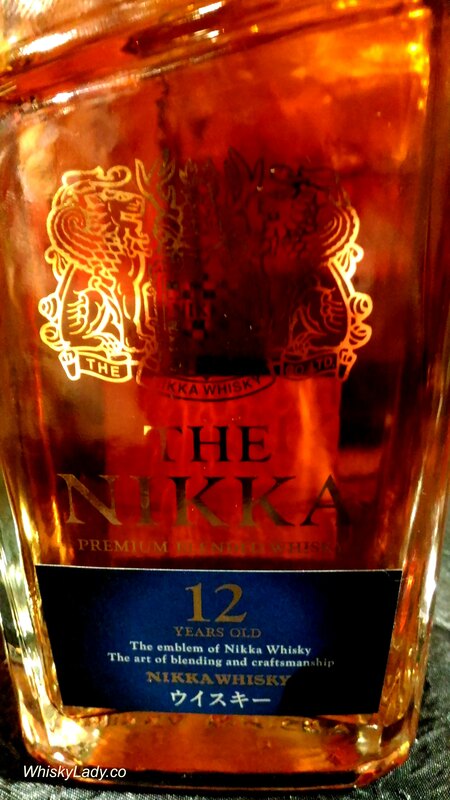 Next up after the Teeling trio at the Whisky Live Singapore was Nikka. 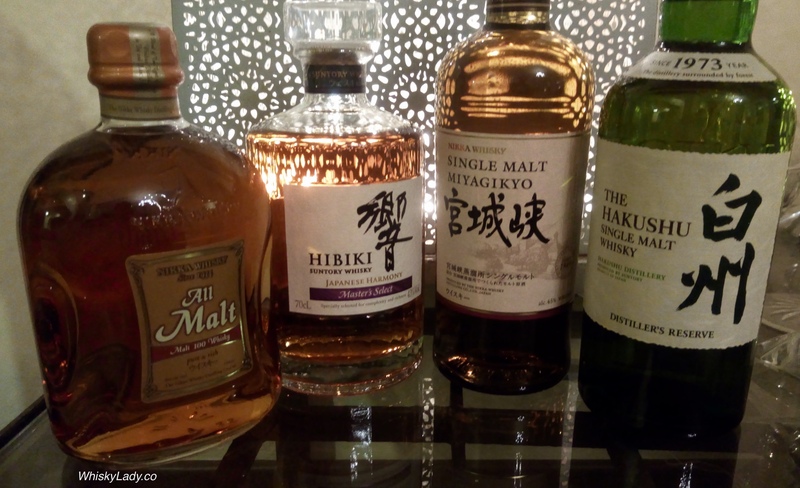 It was such a treat to try their whiskies side by side in this way… my previous experiences were all separated by months or years, in quite different contexts where it would be impossible to make a connect between the different whisky characters. 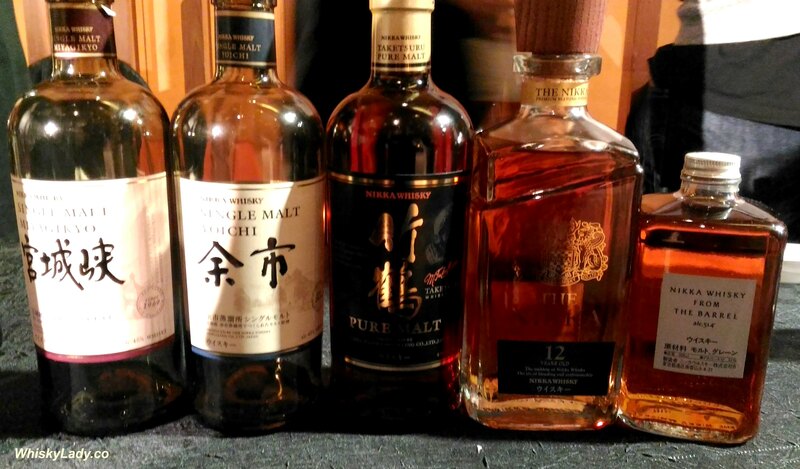 With the exception of the Nikka 12 year, all were NAS – a trend that cannot be helped with the popularity of Nikka Japanese whiskies over the years. 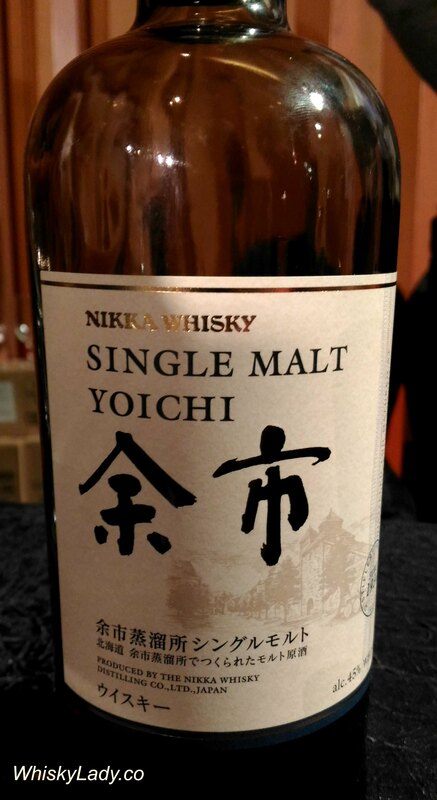 Over the years I’ve had a few opportunities to sample Nikka blends – bringing together the yin yang quality of their single malts Yoichi and Miyagikyo. 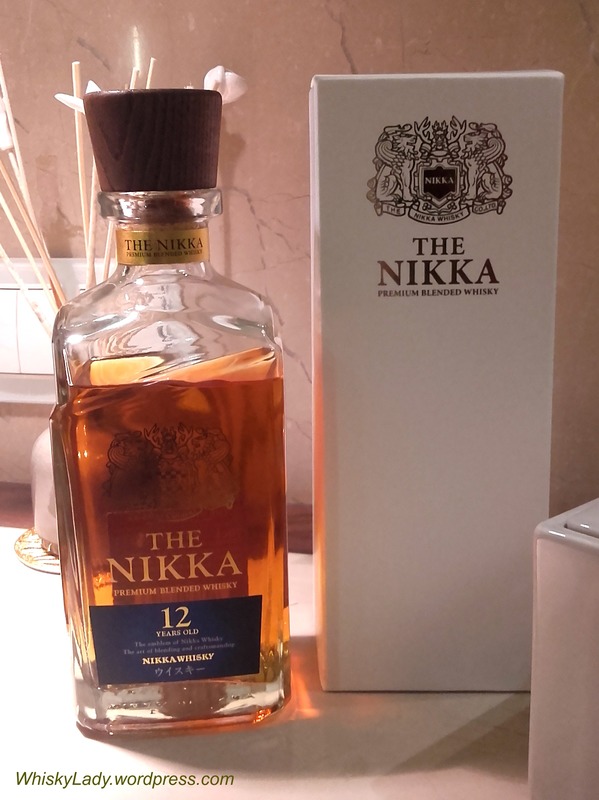 Specifically the The Nikka 12 year marries three elements – malt whisky from Yoichi and Miyagikyo with grain whisky distilled in a Coffey still. Amusingly, our ‘Far East’ sampling of The Nikka began with dispelling the misconception that ‘coffey’ has anything to do with ‘coffee!’ Funny how our brain works… trying to sniff out a whiff of your morning brew even when ‘coffey’ refers to the kind of still Aeneas Coffey patented which revolutionised liquor production in the mid-1800s. 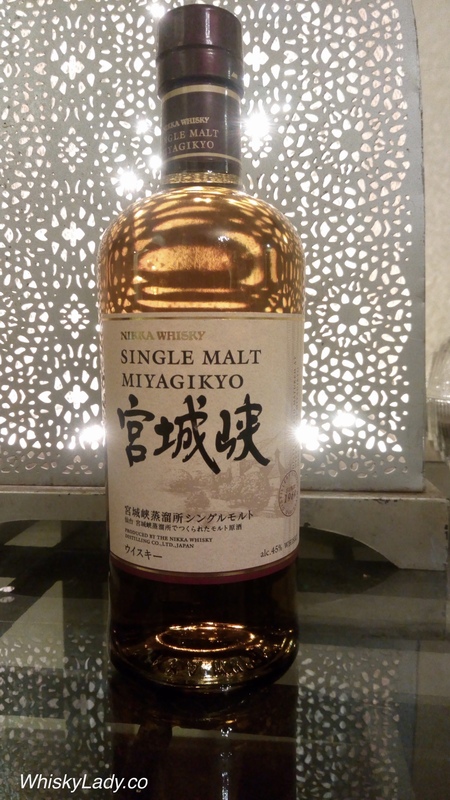 We also shared how Miyagikyo distillery is known for its lighter, more delicate and nuanced ‘feminine’ whiskies. Whereas the Yoichi distillery has a reputation for more robust, often peatland more ‘masculine’ whiskies. Overall a most enjoyable dram. Accessible, well-balanced and easy to just sip. 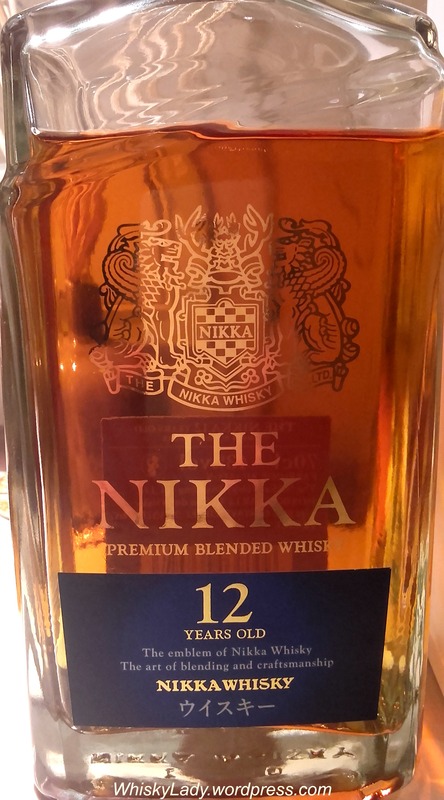 Pitched as a more affordable age statement, The Nikka 12 year has collected a number of awards to its credit and is currently easier to track down than many other Japanese whiskies. The asymmetry design of the bottle is inspired by the neck of a “Kimono”, just as if the layers visualize all the passion and craftsmanship devoted in the history of Nikka. 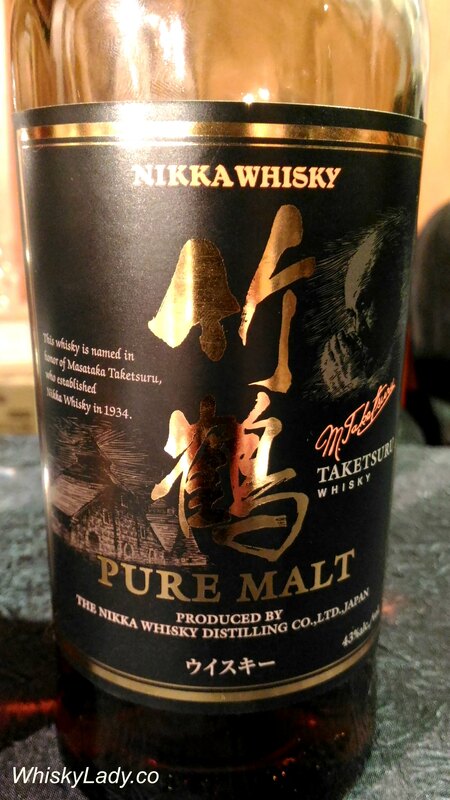 The honorable golden emblem engraved was designed by Masataka Taketsuru for his very first Nikka whisky bottle. We then continued our evening by selecting one element in The Nikka to explore further – Yoichi’s new NAS single malt expression. 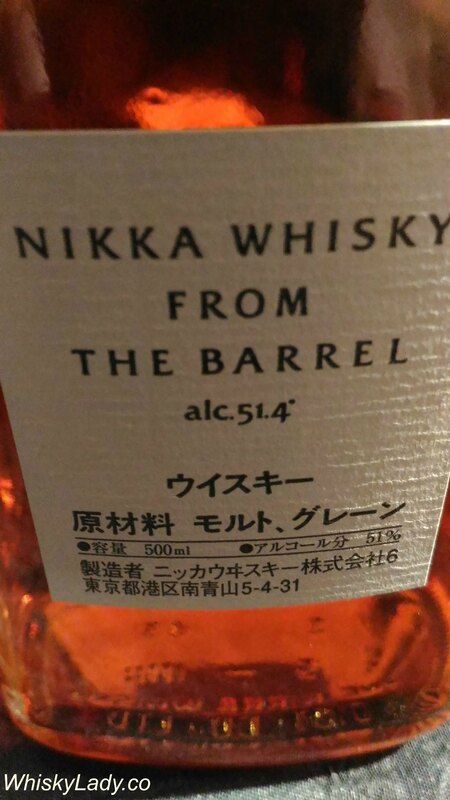 Nikka Coffey Grain 45% – Pina colada whisky! ‘Yoichi’ 10 year 45% – Autumn delight with apple cider and more – yum! 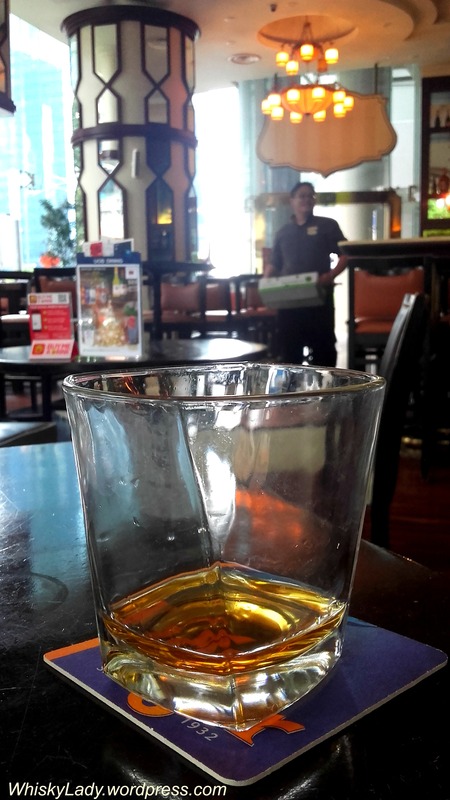 The wonderful thing about Singapore is that even places that are primarily for post-work beers such as The Bank Bar + Bistro near Asia Square stock a decent collections of whiskies. Interestingly the server shared how they are pushing patrons towards the Glenfarclas and away from the Japanese whiskies they earlier promoted. 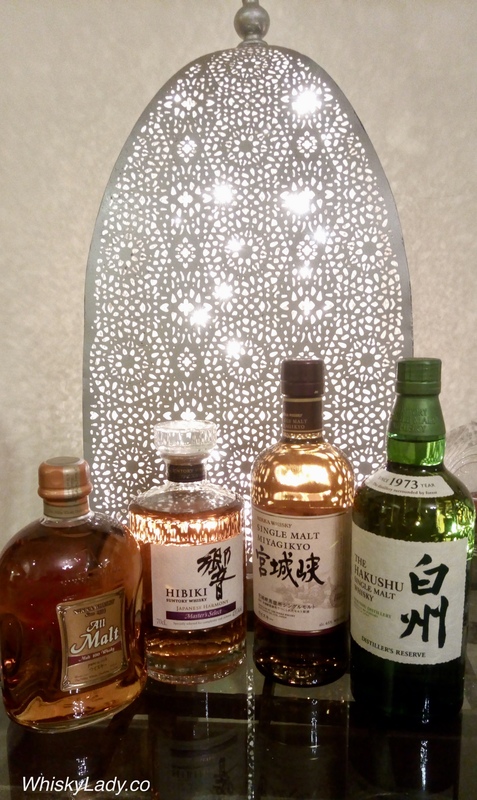 Perhaps due to the rising prices and scarcity of the Japanese whiskies they are simply working through the remaining stock and trying to encourage a return to old faithfuls from Scotland? 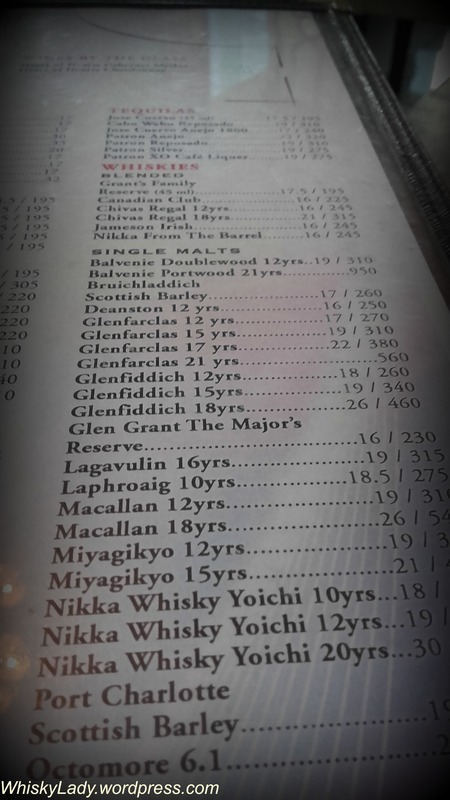 Naturally of the whiskies on offer, my eye was drawn to the Miyagikyo… particularly the 15 year. Yet horror of all horrors, they serve in standard glasses. Oh… my inner whisky snob is definitely surfacing! What did I find with the whisky? No tropical fruits or other citrus elements, no perfume or sea salt. Why mention what its not? 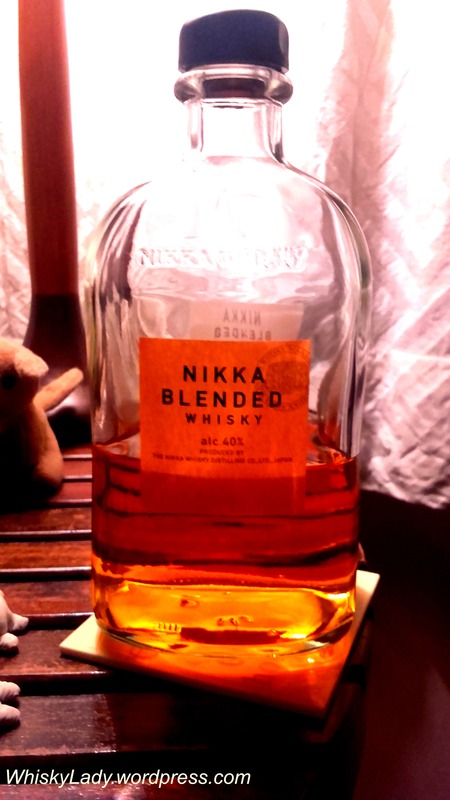 Well… normally I expect something more from the nose for a Japanese whisky. 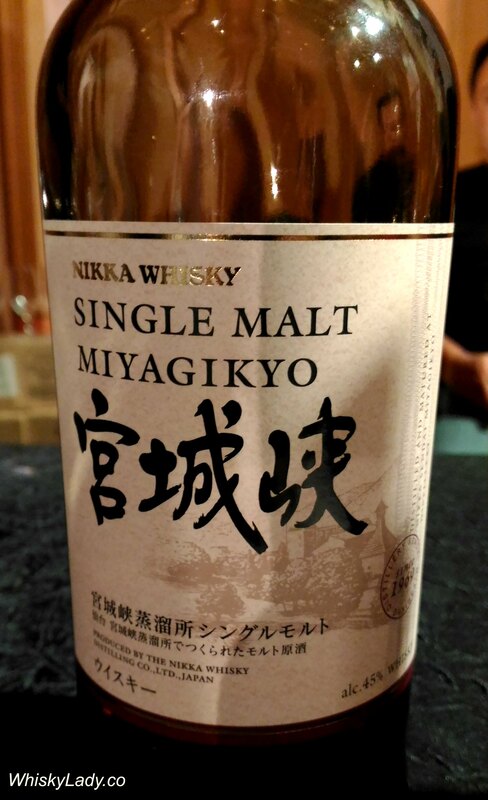 This one didn’t seem to have such layers of complexity on the nose… It also didn’t have the decidedly ‘feminine’ quality I was anticipating from a Miyagikyo. However in fairness… take one look at the picture and you know it wasn’t exactly sampled using optimal tasting glassware! Overall the yumminess of the whisky and quite lovely finish more than compensated. In short – delightful. Nose: Very sweet with vanilla fudge, toffee apple and spice. A straightforward nose, without heaps of complexity, but very charming nonetheless. Palate: Malty, toffeyed, and generically fruity, this is a great session dram – not too heavy, and very pleasing. Finish: Spices, hints of granary toast. Malty.